No matter how much you love birds, there’s a point in any long day’s watching when you begin to be thankful for the onset of dusk. Thoughts turn to good food, a drink or two, perhaps, a chat about the day’s most memorable sightings round a blazing fire, and bed. Visit the far north of Iceland in late spring, though, and you run into a problem. It’s not that the cuisine is bad (it’s excellent), the company disagreeable (it’s very friendly) or the accommodation uncomfortable (it’s a home from home). It is, of course, that it never really gets dark. Theoretically, you can birdwatch around the clock, or at least until you drop from exhaustion. On our first full day in the far north, we gave it a go. We’d been given an inkling of what was in store on the 50-minute drive from Akureyri airport to Hotel Raudaskrida the previous day. The mountains and fells were only just emerging from their snow cover, and the wide river valley that the hotel sits in was studded with pools of every size. 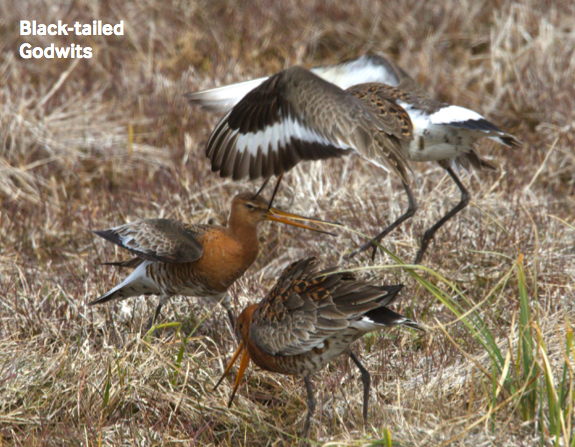 Gloriously ruddy Black-tailed Godwits probed the edges, while Red-necked Phalaropes swam in circles. The fields were full of Whimbrels, and Snipe appeared on every fencepost. For the next few days, in fact, there was barely a waking moment at the hotel during which a Snipe wasn’t overhead, doing its beautifully bizarre drumming display. If there was, it was only because a Golden Plover had briefly grabbed the limelight with its own display, a slow, buoyant ‘butterfly’ flight. Add in Ptarmigan (my bogey bird in the UK) displaying just a few yards from the door of my room, and more of those godwits just beyond the car park, and you could almost start to think there was no reason to leave the hotel at all. But leave it we did, at 7am on a gloriously sunny day (the weather was mild and dry throughout, even though we were just a few miles short of the Arctic Circle). Stopping off in nearby Husavik to pick up our second guide, we had an admiring look at the redpolls flocking to his feeders and marvelled at Golden Plovers feeding on suburban lawns, before heading off on an 18-hour odyssey round the north-east coast of Iceland. Red-necked Phalaropes. It’s impossible to emphasise enough just how empty the landscape is of human clutter, meaning that if you couldn’t find something to watch just offshore, you were sure to turn something up on one of the many little pools inland. 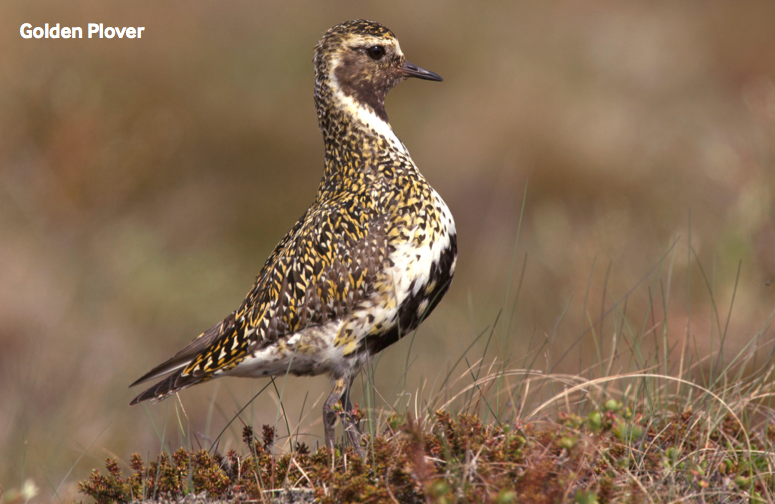 A little further on, Skjalftavatn is a rich wetland created by earthquakes in 1976 – we added Bonxie, Red-breasted Merganser, Barnacle and Pink-footed Goose and Merlin to our list, plus many more phalaropes. There’s a visitor centre at Asbyrgi, in the Vatnajokull National Park, where a deep glacial gorge features nesting Fulmars (the sea is a few miles away), and a small lake had a pair of Barrow’s Goldeneye. As we headed north along the coast, small estuaries and pools just behind the shoreline turned up pretty well every gull you’d expect, including Glaucous and Iceland, plus an Arctic Skua or two, while Scaup, Knot, and both Great Northern and Red-throated Divers were seen well. We were heading for the Langanes peninsula, right at the north-east corner of Iceland. 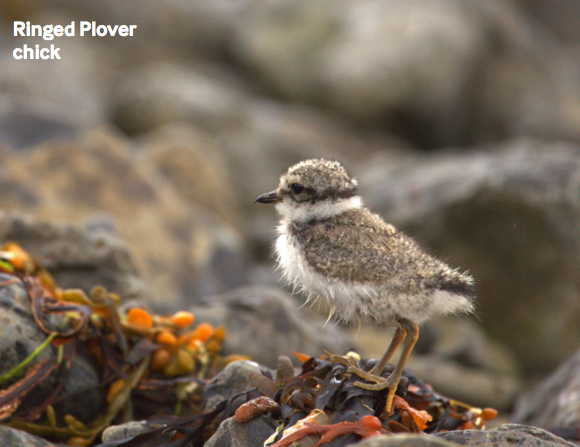 A greater range of waders started to become obvious, including large numbers of Ringed Plover and Sanderling, Turnstone, Dunlin, and a few Purple Sandpipers. 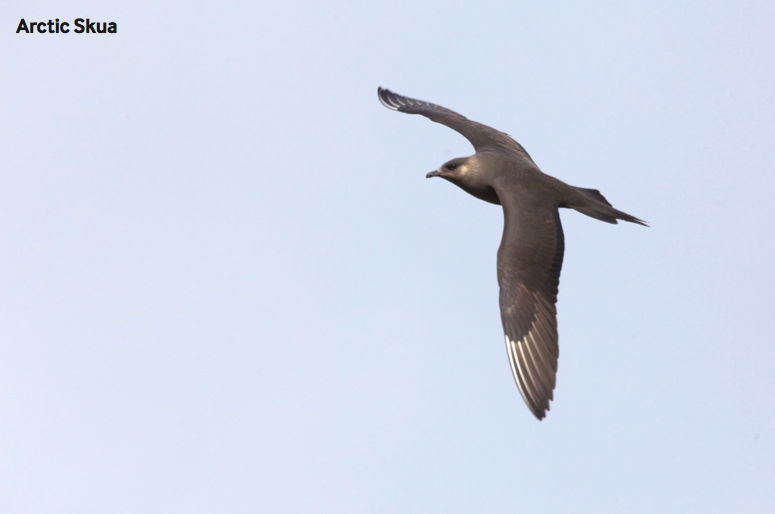 Kittiwakes were plentiful, with the odd Gannet fishing offshore, large rafts of Eider bobbed on the waves, and a single skua put the whole lot up like a Peregrine. We glimpsed Snow Buntings from the van, but we were in a hurry to get to Skoruvikurbjarg, where the cliffs are thronged with nesting seabirds. The Gannets are mainly on a rock just offshore, although significant numbers nest on the mainland, and all are easy to photograph from close range with a little care. The same goes for the Razorbills and Guillemots, and a patient scan of the crowd turned up Brünnich’s Guillemots among their commoner cousins. I woke the next morning to two pale morph Arctic Skuas chasing each other above the hotel, amid a babel of wader- talk, and we took things a bit easier for the morning, driving to nearby Bjorg for a tour of an Eider ‘farm’. In fact, the farmer simply collects the valuable down from the nests at the end of the season – these are genuinely wild birds, nesting on an island in the estuary, and the farmer’s main role is one of keeping an eye on how the ducks are doing. It takes 60 nests for a kilo of down, and there are 300 nests on the island, but when a kilo fetches over £1,000, it’s easy to see why they bother. After lunch we headed into Husavik, and boarded one of the RIBs run by Gentle Giants, and made for the island of Flatey. Getting there was half the fun, though. If having Arctic Terns and Fulmars skimming alongside wasn’t enough, Harbour Porpoise, Minke and Humpback Whales were amazing close-range sightings, with one of the latter surfacing almost underneath the boat. On the island, once inhabited but now used only by summer visitors, we found a Gyrfalcon, feeding on its kill on the beach. And, even better, as we arrived back at the little harbour, was a single female Grey Phalaraope in all its breeding finery. Lake Myvatn was the next day’s destination – we were early enough in the year to avoid the midges that give it its name, so we could concentrate on wildlfowl. First, though, we got great views of Slavonian Grebe, Ring-necked Duck, Goosander and Barrow’s Goldeneye on the way, plus Merlin and the only Short-eared Owl of our trip. 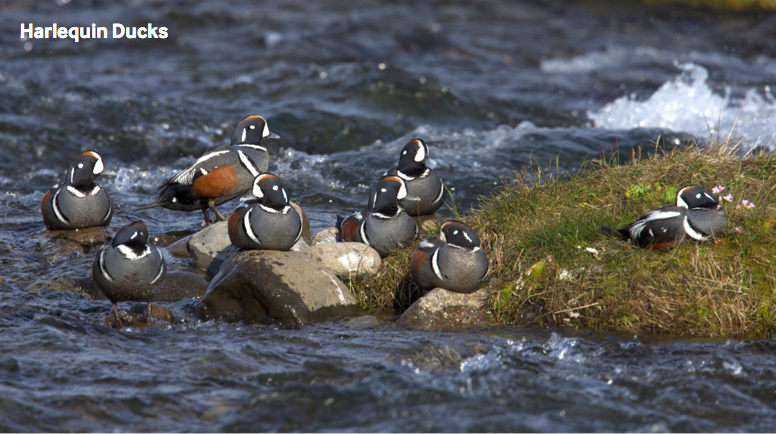 We saw a few Harlequin Ducks near Laugar, but a stop on the river close to Myvatn brought us face to face with these gorgeous birds, making light work of what looked like a fairly powerful current. It’s remarkable how inconspicuous such a strongly-marked bird can look, a perfect example of dazzle-pattern camouflage. Myvatn has a bird museum in the bay of Neslandavik, which is a good place to scan the plentiful ducks on the water for American rarities, or to watch the Slavonian Grebes that drift close inshore. But in truth, wherever you go around the lake, you’re never away from the whistling of Wigeon, broken only by the occasional yodel of a Long-tailed Duck, or the eerie call of the Great Northern Diver. The area around Hotel Reykjahlid brought Slavonian Grebes dancing, plentiful Red-necked Phalaropes, Pintail, Wheatear, and one of those rarities I mentioned, an American Wigeon. The park at Hofdi provided both views across the water and birch woodland, in which Snipe were surprisingly common. Our stay had been far too short, but we had time the next morning to join Gentle Giants in Husavik again and take the boat around the small island of Lundey. It’s hard to steal the scene from a Humpback Whale, but the sight of what must have been 250,000 Puffins on or shuttling to and from the cliffs fairly takes the breath away, transforming the sea-parrots from clowns to objects of awe. And that’s Iceland in a nutshell. There aren’t that many species that you won’t have seen in Britain, but you won’t have seen them like this before, or in such a bizarrely beautiful setting. Embark on your own Icelandic saga. HBK £25 – £13.99 & £15.99 if you quote BW-CBG & BW-HC at BW Bookshop (p46). Wildlife of the North Atlantic: A Cruising Guide, SBK £16.99, pay £9.99 if you quote BW-TR01. Offers valid to 31/12/13.